Never before in history has change been so rapid or so pervasive. We are in the early stages of a technology revolution that is changing the way we communicate, live, work, play and do business. What is Canada’s role in this transforming economy? How can Canadians prepare and profit from such change? 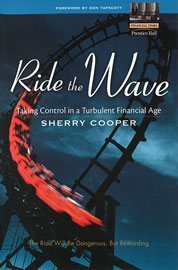 Sherry Cooper provides the answers in this practical guide to your future. In 20 years, the world will be a far wealthier place. But there will be big losers too, those who can’t handle the volatility that’s coming as well. Cooper shows you what’s coming, why it’s coming and what you should do to take advantage of tomorrow’s opportunities – and manage tomorrow’s daunting risks. She brings global sweep and long-term prospective to the causes and effects that really matter: the massive demographic and sociopolitical changes that will transform tomorrow’s world economy. You’ll preview looming technological changes that will have revolutionary investment and career implications – and even discover why the Internet is poised for a comeback that may dwarf the glory days of the late 1990s. Most important, Cooper outlines practical strategies for investing securely in an age of economic uncertainty. In The New Retirement, global economic strategist Sherry Cooper explains that the boomer generation will be reaching traditional retirement age very soon and that an enormous wave of boomer retirees will crest in 2025. This phenomenon will profoundly affect the labour markets, the economy, and financial markets for decades. But will boomers retire the way their parents did? Will they work longer and transition gradually into semi-retirement? 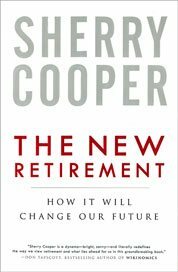 Cooper tells us that boomers will redefine retirement with great energy and creativity, working well beyond age 65 and mostly by choice. With the dramatic rise in their longevity, healthy goal-driven boomers will seek purposeful leisure—focusing on regeneration, rejuvenation, and low-stress contributions to society and their own personal wealth. 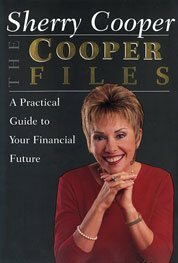 Follow Cooper through her own journey to discover the route to financial security in this engaging and insightful read. Learn how the new retirement is about living well while achieving both monetary security and your personal goals. The New Retirement is an indispensable roadmap to the best years of your life.